With its glamorous 150-year history, the Hotel Schweizerhof in Berne is the city’s most tradition-steeped hotel. 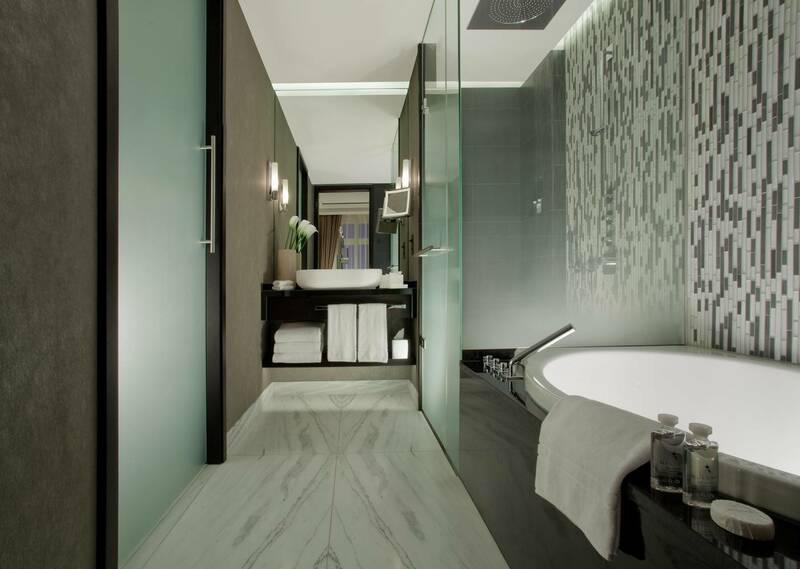 This 5-star hotel fuses grandiose tradition with contemporary flair, refined design and world-class service. The DUO POOL’s puristic design is in perfect harmony with this style. The DUO POOL fascinates with its captivating interplay of internal and external styling: deep inside and curvaceous outside. At a depth of 50.5 cm, the DUO POOL is a comfortable bath with generous dimensions, which offers plenty of room and ensures freedom of movement.